Fashion Polish: New Zoya Spring collection : Awaken & Monet! 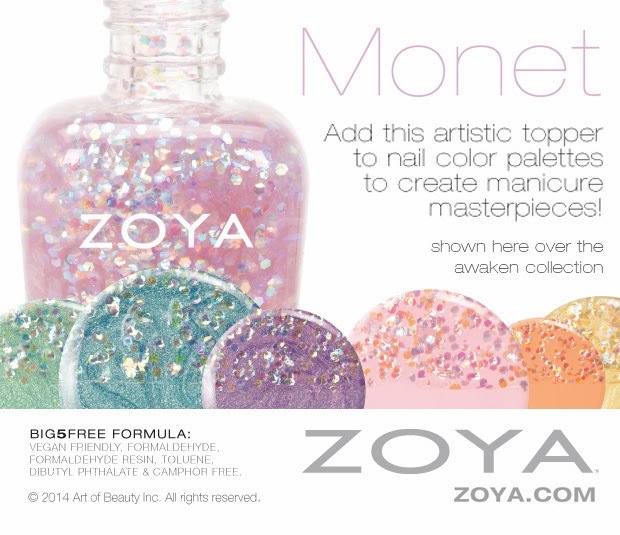 New Zoya Spring collection : Awaken & Monet! Open your mind to the beauty of color discovery; the new, the unexplored, the excitement! 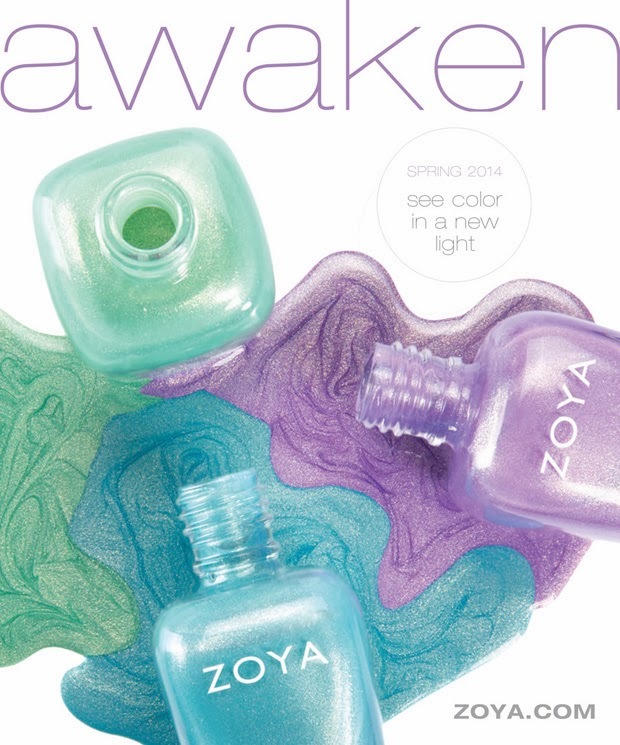 Awaken by Zoya - Six new, full-coverage, dew-drenched creams and gold-kissed metallic nail polish colors for Spring 2014. Full of pure pigment, intense color and modern complexity that will take you far beyond the hazy, barely there hues of seasons past into a new world of chromatic joy. • ZP723 - Dillon: Green Mint Shimmer Metallic Full Coverage Formula. • ZP724 - Rebel: Blue Sky Shimmer Metallic, Full Coverage Formula. (originally created for fashion designer Zang Toi’s SS14 collection). (originally created for fashion designer Peter Som’s SS14 collection). • ZP725 - Brooklyn: White-Gold Shimmer Metallic, Full Coverage Formula. • ZP726 - Monet: Multi-Color, Cellophane Holographic Topper.